House 19 is designed as a carbon neutral, energy efficient home in the ancient historic town of Old Amersham, nestled in the Chiltern Hills. 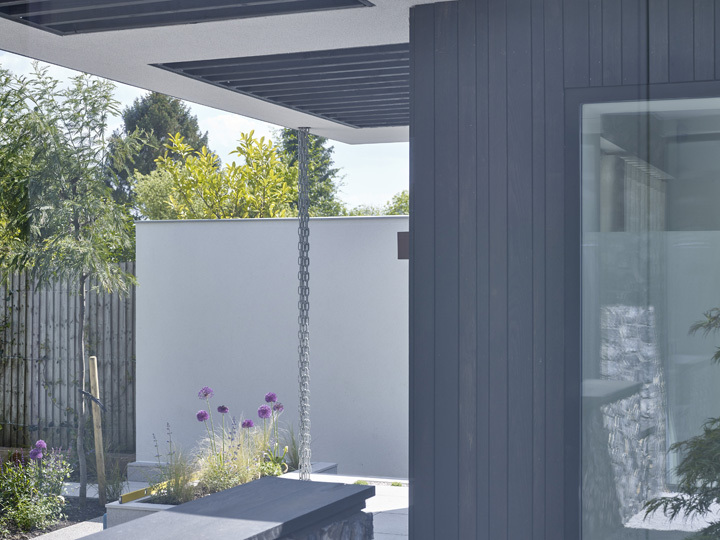 The house fuses traditional forms and local materials in an elegant and modern way to make full use of the natural aspect and orientation of the site. 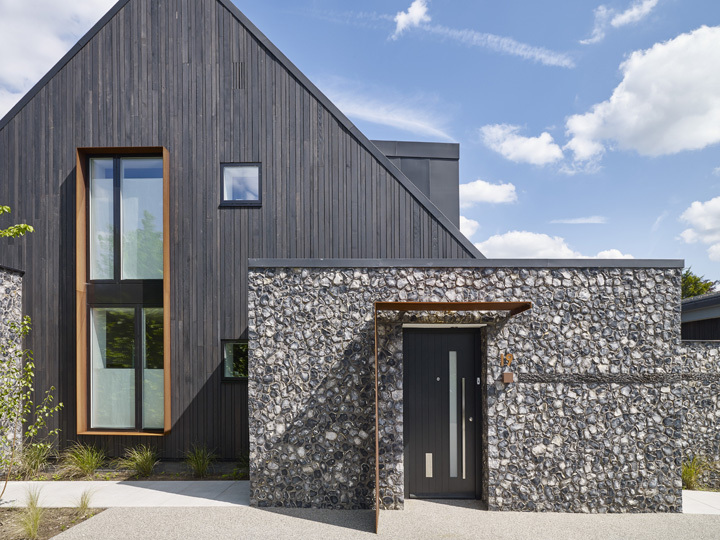 2016 RIBA South Awards winner. Porch area looking through the glass into the garden with flowers. 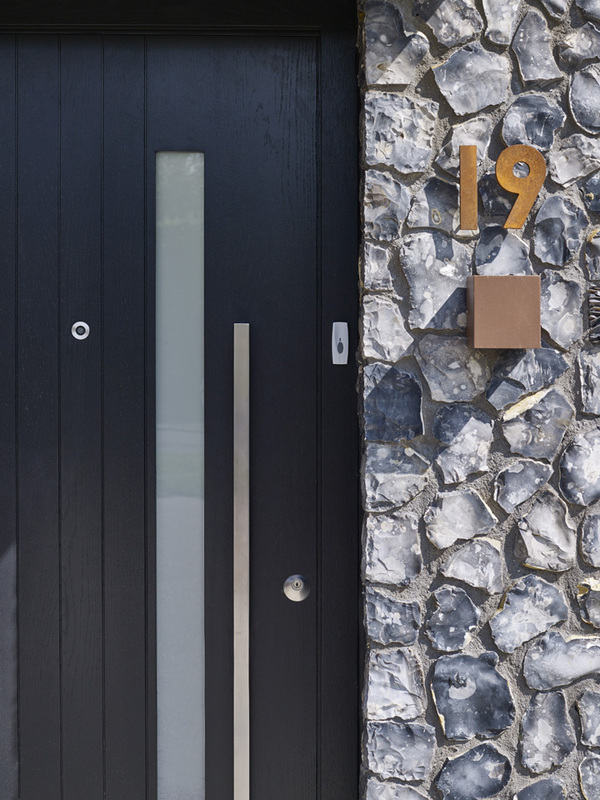 House 19, Old Amersham, United Kingdom. Architect: Jestico + Whiles, 2016. Entrance to the house. Front elevation with flint and rusted corten steel. House 19, Old Amersham, United Kingdom. Architect: Jestico + Whiles, 2016.